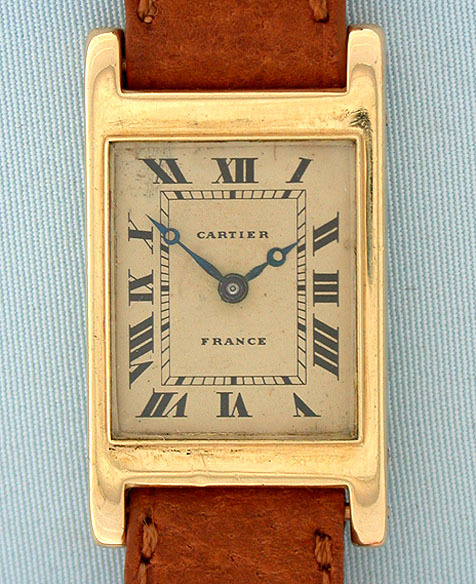 Fine and rare 18K gold Cartier backwind tank vintage wrist watch circa 1932. 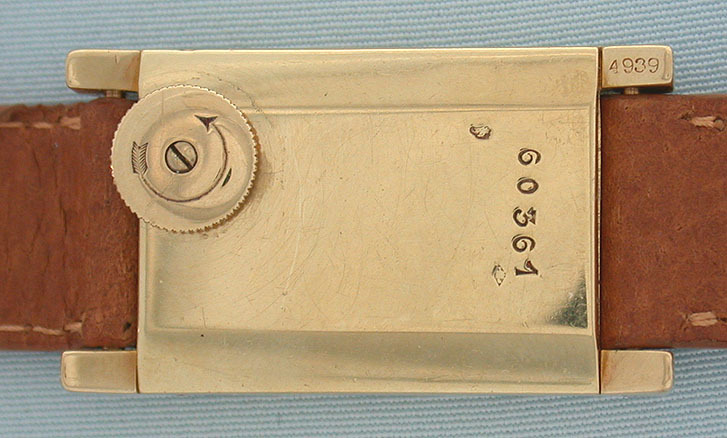 Original gold dial with black numerals and blued steel hands. 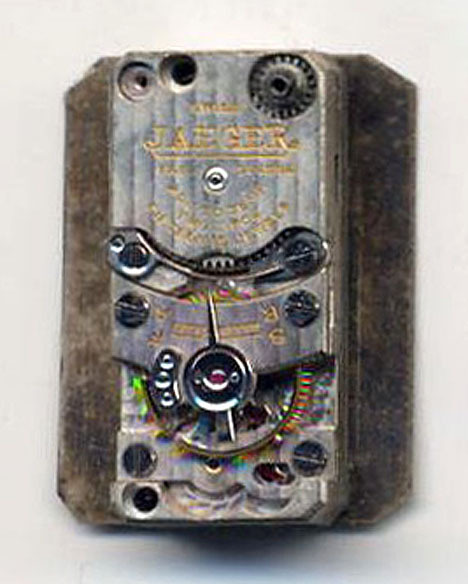 Nickel 15 jewel Jaeger movement. Classic.